Mark Your Calendars! May 1st is the General Membership Meeting! 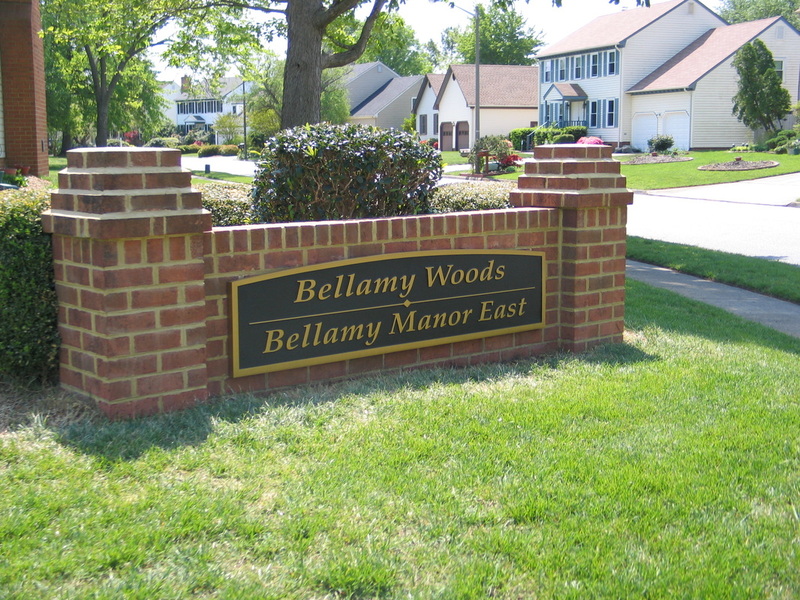 The semi-annual Bellamy Woods General Membership meeting will be held on Wednesday 1 May in the Library of Providence Road Elementary School starting at 7:00PM . We need you present to approve the civic league's annual budget and to get your thoughts on how best to improve our neighborhood. Arrangements are being made to have a guest speaker representing the City of Virginia Beach. Past speakers have been excellent with their topics typically focused on what is planned for the Kempsville area. Don't miss the meeting! Yard sale!! A quick reminder that 18 May as the annual Bellamy Woods Yard Sale! More details to follow soon! Updated Block Captain Listing! ​Under the Programs menu above you will find the Block Captain tab. Click on it to see the new Bellamy Woods Civic League map that subdivides the area including Sellwood Drive and courts into alphabetical sections. Locate on the map which section you reside in. Below the map the duties of a Block Captain are spelled out and there is a listing of our the volunteer Block Captains assigned to the section in which they reside. Use the Zoom In or Zoom Out to adjust the roster text size. Note in some cases there are two Block Captains listed for a section. The Block Captains in this case will work together to divide up the section. Getting to know both of them as your neighbors is certainly the "neighborly" thing to do! We are looking for new members to join your neighbors in making Bellamy Woods an even more desirable neighborhood in which to live. Join us! The benefits for the annual $30 fee are many and spelled out in the Membership tab above. It's easy to join either online or by downloading a Membership Application through the Membership tab above or the Membership article below! Forms are also available at the Info Box located at the Bellamy Woods Park kiosk adjacent to the playground equipment. ​This advisory committee has been responsible for much of the improvements in the Kempsville area, especially near the intersection of Princess Anne Rd. and Kempsville Road. Their latest committee report can be found here. We wish to thank each of our volunteer board members and officers for their service. Their contributions are invaluable to our community! NEW MEMBERSHIP YEAR 2018-2019: PLEASE JOIN/RENEW NOW! It's Open Season! Time to renew your membership or sign up as a new member! The Bellamy Woods Civic League's membership year runs from July 1 to the following June 30. If you haven't already renewed (or joined), It Is Time!! You may join or renew online, making your dues payment via credit card or Paypal. This method helps our civic league save money on printing, postage, supplies, and volunteer time. Your dues payment keeps the Bellamy Woods Civic League going - please renew or join today. Our annual September event, celebrating our community with music and fun in the park. Don't miss one of our major community get togethers! Our annual Halloween Party in the Park is a fun time for all! Contact data is provided as a service to BWCL members. Listings of private firms does not imply any endorsement by BWCL. Phone numbers and websites may change over time; please use the REPORT A PROBLEM option under PROGRAMS to advise us of updates or problems.